Morgongiori lies on the southern slope of the Monte Arci park, a naturalistic ‘jewel’ that falls partially within its territory. The town of Morgongiori is in the upper Marmilla region and has approximately 800 inhabitants. It is surrounded by hills covered with oaks and holm oaks, crossed by a myriad of streams and surrounded by harsh rocky cliffs shaped by time, including the Conca Mraxi (‘head of the warrior’). 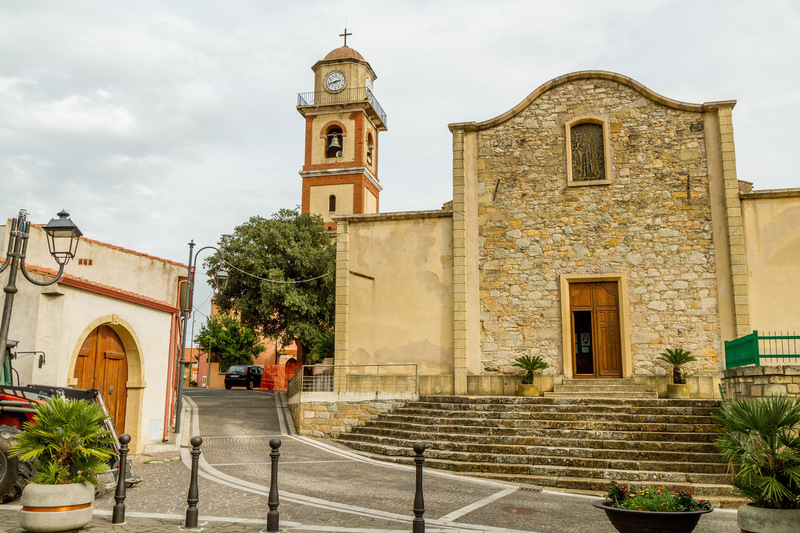 It is the ‘city of stones’, with houses in trachyte and basalt, adorned with arched portals, whilst courtyards and loggias characterise the historic centre. All is gathered around the parish church of Santa Maria Maddalena (1673). The church houses a documentary archive of the village. Along the Arci pathways is the Church of Santa Sofia. In the surrounds arose a medieval village that was abandoned due to Saracen raids. Santa Suia is celebrated in mid-October, whilst the farmers’ festival is held in mid-May. For the procession, horses and oxen are decorated with gutturadas, being fabric collars. Morgongiori is known for its textile craftsmanship. On ancient horizontal looms, a wealth of carpets, tapestries and saddlebags has been preserved in the Museo Vivente dell’Arte Tessile (MUVAT - the living museum of textile art), where women from the village give live demonstrations. In August, there is a tapestry and carpet exhibition. The exclusive local gastronomic specialty is lorighittas, a fresh pasta in the shape of a ring (loriga), to which an eagerly-awaited festival is dedicated at the beginning of August. At the peak of Monte Arci is sa Trebina Longa (at 812 metres), one of the necks (volcanic fossil ducts) that stand out on top of the enchanting massif. Walking along the park’s pathways (or riding along them on mountain bikes), the is Benas pinewood, springs, waterfalls, caves and rock faces suitable for clean climbing can be admired. It is an oasis populated by wild horses, weasels and martens, with buzzards and hawks flying overhead. Green is alternated with the colours of basalt, trachyte and obsidian, the ‘black gold’ of the island’s prehistory, a mineral processed and marketed throughout the Mediterranean. In the village, there is the environmental documentation centre, which illustrates the geological and cultural riches of the park. 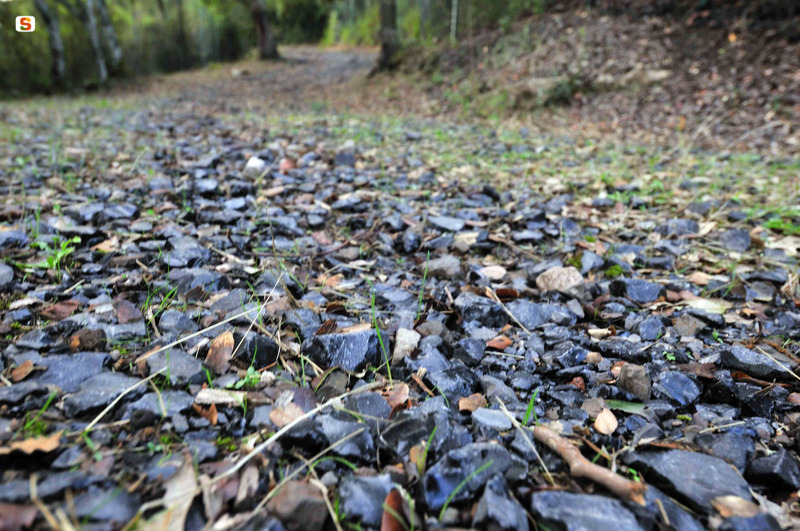 The fecundity of the land has always favoured agricultural activity and, together with the presence of obsidian, has attracted people here since prehistoric times, as tens of archaeological sites can demonstrate. To be admired in Prabanta is the menhir su Furconi and two Domus de Janas, sa Sala and su Forru, Neolithic monuments (3200-2800 BC) linked to Luxia Arrabiosa, a character in the popular imagination. On the way to is Benas, in addition to Roman tombs, one can spy s’Omu ‘e s’Orcu, one of the most well-known Nuraghe of the area together with Trunku de is Pillonis, which is associated with a Tomb of Giants. 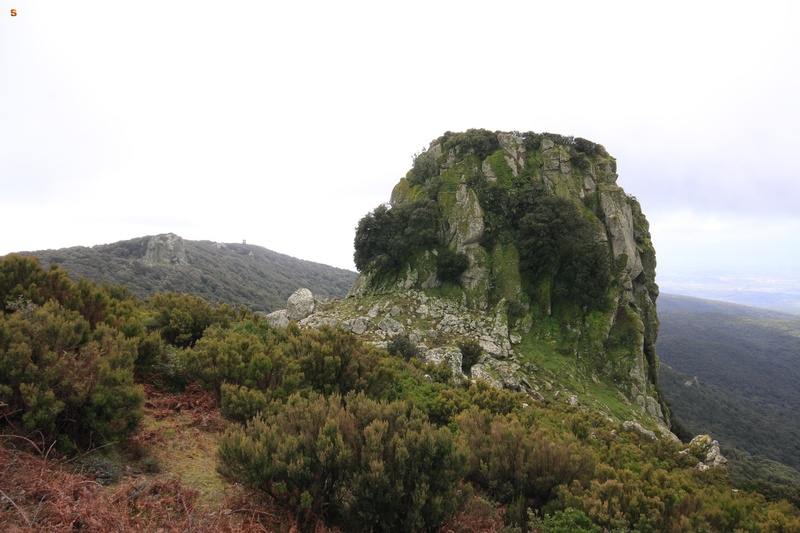 Near the village, there is sa Domu ‘e is Caombus, a vast cleft in the rock from which a basalt staircase commences, immersed in darkness - perhaps once leading to a hypogeic Nuragic temple.